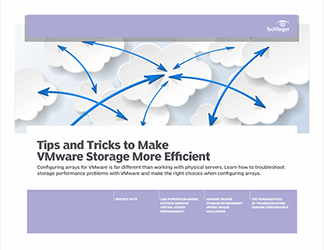 This guide to configuring storage for VMware will help data storage administrators maximize the multitude of benefits VMware offers and maintain their storage performance requirements when undertaking a VMware project. 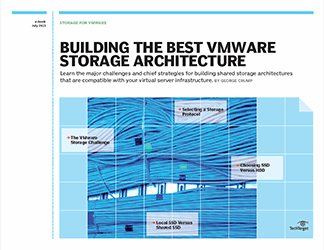 Storage admins must continually educate themselves on the ways to design a VMware shared storage infrastructure -- hypervisor improvements, the rising popularity of flash and various approaches to tiering -- so their original investment remains intact. They also need to approach any VMware project with storage efficiency and performance at the top of their priority lists to please chief stakeholders who want to maximize ROI from any VMware installation. 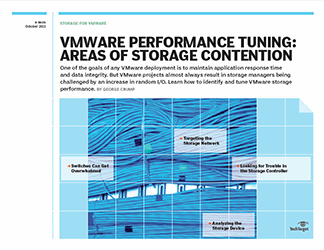 Our experts discuss these issues, explain how to stay one step ahead of potential bottlenecks, and offer tips and tricks to make VMware storage more efficient.